Come this Saturday, on May 19, food lovers around the world will gather at kitchens, restaurants, offices and parks to take a stand against obesity, and for real food. Let me explain. May 19 is designated as – thanks to the Jamie Oliver Foundation – the Food Revolution Day. The day when you learn to say no to processed food, to bad eating habits, and to disintegrating eating culture. Without a doubt, processed food is the biggest culprit towards the obesity pandemic and diet-related illnesses plaguing our society today. Think soft drink (high dose of artificial sweeteners), burger patty (you never know what’s really inside those meat) and even jello (chemical colouring, anyone?). The amount of unnatural stuff we are putting into our body daily is nothing short of staggering. Just think back to all the food you consumed today. That sachet of sugar. That bowl of noodles. That pack of chips. For very personal reasons (read: vanity), I had always advocated a diet of non-processed food. Steamed meat and boiled vegetables are my daily norms. I cook my lunch every morning, and I cook again when I return home. It’s better for my waistline, it’s healthier for my wallet… heck, it might even save my life one day. So on Food Revolution Day, make it a point to cook at home. Share the kitchen with your family and friends. Go for organic food, try out new healthier recipe. It is easier than you think to toss up a delicious salad and brew a nourishing pot of soup. Everybody – and I do mean everybody – can do something on Food Revolution Day, anywhere. Get involved and put Hong Kong on the map. Let everyone know that the world’s cuisine city can eat responsibly too. Thanks to the every resourceful Janice of e-tingfood.com, I know I will be doing my part and spreading the word come May 19. 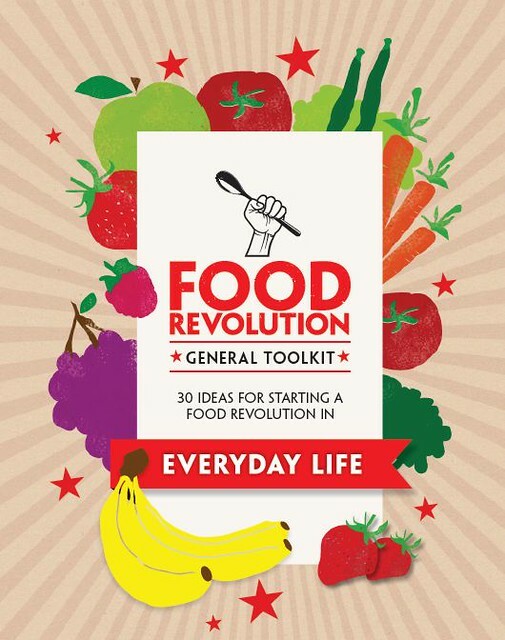 Just to spur you a little further – let me know in comments or emails about what you want to do on Food Revolution Day, and get a free gift from me. Yup, I am serious. As much as I love blogging about eating out, it is also up to you and I to eat healthier. Our lives may well be dependent on it. If you’re on Twitter and Facebook, follow the action at @FoodRevHK and facebook.com/frd.asia.